Reports first came in from the eastern hemisphere that not all was well in Farmville. Players cited strange anomalies with the game and its characters. 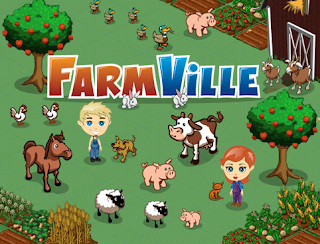 It appears that Zynga's Farmville on Facebook is infected with a toxic virus. With the economy continuing to be in a slump, revenues for Zynga's online games are down. Recently, Zynga has been seeking out corporate sponsorship partners to bolster cash flow and keep the games thriving. 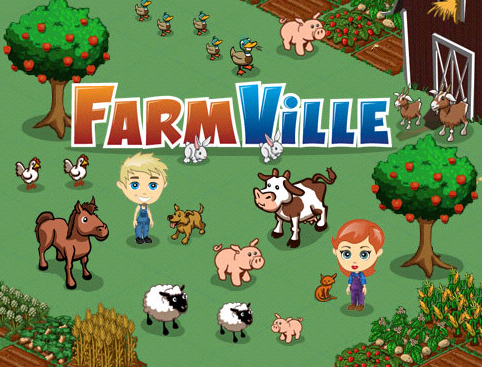 Farmville was first impacted when Zynga signed a deal with ConAgra to provide seed and fertilizer for the game. That is when the initial problems arose. Apparently, ConAgra had been working with Chinese Agricultural and Botanical Engineer Nuh Thin. Thin has been known to harbor anti-American sentiment and he is believed to have created a complementary strain of seed and fertilizer that produce mutant plants and increase the amount of pollution on the pastoral game boards. Greenpeace has been highly concerned and will send a team of scientists to laptops to play the game endlessly for days until they can determine the exact repercussions of this noxious strain of seed and fertilizer. Farmville farmers have reported corn whose kernels all look like Orville Redenbacher - and they talk. Another glitch in the game is an auto-fill typo. Smuckers had secured the rights to process and package all of the fruits produced in Farmville. Product labeling has been affected by the typo virus. All of the SM's in Smuckers have been replaced with an F - sending the elderly and religious conservative players away from their computers and back to normal productive lives. We sent our Asian specialist No Wan to investigate and see what she could uncover. After lengthy interviews, No Wan reported that ConAgra didn't know Nuh Thin. Zynga and Facebook didn't know Nuh Thin either. He may be seeking political asylum in Libya. When asked, No Wan knew Nuh Thin. Another part of the virus that primarily effects higher level players in Farmville is the release of a huge nuclear radiation cloud. The cloud does not prove fatal to game characters, but three-headed sheep and five-legged horses have been reported across Asia. Even blind cows with udders on their backs have been spotted stumbling around what were once peaceful farms. Upset game players have stated, "That's it. I'm done with Farmville. I'm going to read or get more done at work. I can't live in a world with artificial calamities." Another Farmville player pleaded, "How will this affect my kids? We were sharing animals, but now all the animals are mutants and it's scaring the kids. I hate Zynga." U.S. Agriculture Secretary, Tom Vilsack said he would ask President Obama to look into the matter as soon as he was finished golfing. Donald Trump is purportedly thinking about making an offer to buy Farmville from Zynga. "With the virus, property values are dropping and this is a good time to buy. Plus, real estate is all about location. With Farmville on millions of computers worldwide, I feel that we've satisfied out location requirements for acquisition." In the meantime, Zynga and Facebook, teamed up with ConAgra are still looking for Nuh Thin. No Wan is helping, but she can't stop the fact that Zynga's Farmville on Facebook is infected with a toxic virus. No animals were injured during this fictional account of Farmville. Znyga, ConAgra and Facebook remain greedy powerhouses.